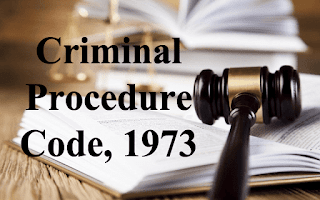 Code of Criminal Procedure - S. 197 - Prosecution of Judges and public servants - it was not and cannot be a part of the official duty of petitioner to commit offences under section 407/409/420/120-B RPC with regard to misappropriation of Government cements meant for construction of quarters of ITBP, after hatching criminal conspiracy with others accused. The provisions of Section 197 Cr.P.C. are exception to the general rule as laid down in Section 190 regarding taking cognizance of the offence by the Magistrate and require prior sanction of the appropriate authority. The object of sanction is to guard against vexatious proceedings against public servant. For claiming protection under Section 197 of the Code, it has to be shown by the accused that there is reasonable connection between the act complained of and the discharge of official duty. An official act can be performed in the discharge of official duty as well as in the dereliction of it. For invoking protection under Section 197 of the Code, the acts of the accused complained of must be such that the same cannot be separated from the discharge of the official duty, but if there was no reasonable connection between them and the performance of those duties, the official status furnished only the occasions or opportunity for the acts, then no sanction would be required. Coram: Hon‟ble Mr. Justice Sanjay Kumar Gupta, Judge. Appearing counsel: For Petitioner (s) : Mr. Sachin Gupta, Advocate. For Respondent (s) : Mr. Suneel Malhotra, Dy. AG. 1. Through the instant petition filed under Section 561-A of the Code of Criminal Procedure (hereinafter for short, Cr.P.C), petitioner seeks quashing of order dated 31.10.2013, passed by the learned Principal Sessions Judge, Jammu, by virtue of which, order dated 17.11.2012 passed by the Forest Magistrate, JMIC, Jammu, has been set aside and learned trial court was directed to proceed against the petitioner/accused in accordance with law. 2. The case of the petitioner is that the order dated 31.10.2013 passed by the learned Principal Session Judge, Jammu, is not in accordance with law and that there was no sanction as required under Section 197 Cr.P.C. therefore, the court of learned Forest Magistrate, JMIC, Jammu was right in discharging the petitioner/accused. It is further contended that Revisional Court has not heard the petitioner before passing the impugned order, as such, the above said order passed by the Session Judge is not in accordance with law. 3. I have considered the contentions of counsel for the parties and perused the record. Counsel for petitioner has reiterated the grounds taken in memo of revision petition; whereas counsel for respondent has supported the order impugned. Counsel for petitioner has relied upon 2006 (4) SCC 584 case titled Sankaran Moitra vs Sadhna Das & Anr. “Section-197 Prosecution of Judges and public servants-(1) When any person who is judge within the meaning of section 19 of the Ranbir Penal Code or when any Magistrate, or when any public servant who is not removable from his office save by or with the sanction of the State Government or the Government of India, is accused of any offence alleged to have been committed by him while acting or purporting to act in the discharge of his official duties, no court shall take cognizance of such offence except with the previous sanction. (b) in the case of persons employed in connection with the affairs of the State, of the Government. 5. A revision petition was preferred by the State against the aforesaid order dated 17.11.2012 and learned Principal Session Judge, Jammu by virtue of order dated 31.10.2013 has set aside the said order and directed trial court to proceed against the petitioner/accused under law. “15. In an identical case reported as Harihar Prasad, etc. v. State of Bihar (1972(3) SCC 89) the Hon‟ble Supreme Court made the following observation: As far as the offence of criminal conspiracy punishable under Section 120-B, read with Section 409, Indian Penal Code is concerned and also Section 5(2) of the Prevention of Corruption Act is concerned, they cannot be said to be of the nature mentioned in Section 197 of the Code of Criminal Procedure. To put it shortly, it is no part of the duty of a public servant, while discharging his official duties, to enter into a criminal conspiracy or to indulge in criminal misconduct. Want of sanction under Section 197 of the Code of Criminal Procedure is, therefore, no bar. 16. The respondent being a public servant knowing fully well that the other accused have misappropriated the cement, instead of taking any action against them, issued the certificate that the cement had been received in the government store. It is no part of the duty of a public servant while discharging his official duties to commit such type of offence. In such case, the sanction under Section 197 of the Code is, therefore, not required. 17. While the question whether an offence was committed in the course of official duty or under colour of office, cannot be answered hypothetically, and depends on the facts of each case. One broad test for this purpose, first deduced by Varadachariar J. of the Federal Court in Hori Ram v. Emperor, 1939 FCR 159 is generally applied with advantage. It was held that in a case under Section 409, Indian Penal Code, the official capacity is material only in connection with the „entrustment‟ and does not necessarily enter into the later act of misappropriation or conversion, which, is the act complained of. 18. In the light of all that has been said above, I am of the opinion that on the facts of the present case, sanction of the appropriate Government was not necessary for the prosecution of the respondent for an offence under Sections 409/120-B, Ranbir Penal Code, because the alleged act of criminal misappropriation complained of was not committed by him while he was acting or purporting to act in the discharge of his official duty, the commission of the offence having no direct connection or inseparable link with his duties as public servants. At the most the official status of the respondent provided the other accused with an opportunity or occasion to commit the alleged criminal act. A misappropriation cannot be committed while professing to act in an official capacity. A person may even be ostensibly acting in discharge of his official duty, but even while so acting if he is actually misappropriating, it cannot be said that part of his conduct is in any way related to the duty he is expected to discharge. An act which is contrary to the very duties of a public servant cannot be said to be one in discharge of his official duty. Misappropriation by its very nature does not agree with the functions of a public servant and being an act which is contrary to his very duties, cannot be said to be one in discharge of his official duty. An offence which arises out of the abuse of official position could never be said to require a sanction for prosecution for it. 7. I have given my thoughtful consideration to whole aspects of the matter and gone through the law on subject. 8. The only question to be decided in this petition is, as to whether protection of section 197 Cr.P.C. was available to the petitioner-accused in the facts and circumstances of the case being public servant. “197. Prosecution of Judges and public servants.- (1) When any person who is Judge within the meaning of Section 19 of the Ranbir Penal Code or when any Magistrate, or when any public Servant who is not removable from his office save by- or with the sanction of the State Government or the Government of India, is accused of any offence alleged to have been committed by him while acting or purporting to act in the discharge of his official duties, no Court shall take cognizance of such offence except with the previous sanction- (a) in the case of persons employed in connection with the affairs of the Union, of the Government of India ; and (b) in the case of persons employed in connection with the affairs of the State, of the Government. (2) The Government of India or the State Government, as the case may be, may determine the person by whom, the manner in which the offence or offences for which, the prosecution of such Judge, Magistrate or public servant is to be conducted, and may specify the Court before which the trial is to be held]. 10. The provisions of Section 197 Cr.P.C. are exception to the general rule as laid down in Section 190 regarding taking cognizance of the offence by the Magistrate and require prior sanction of the appropriate authority. The object of sanction is to guard against vexatious proceedings against public servant. 11. For claiming protection under Section 197 of the Code, it has to be shown by the accused that there is reasonable connection between the act complained of and the discharge of official duty. An official act can be performed in the discharge of official duty as well as in the dereliction of it. For invoking protection under Section 197 of the Code, the acts of the accused complained of must be such that the same cannot be separated from the discharge of the official duty, but if there was no reasonable connection between them and the performance of those duties, the official status furnished only the occasions or opportunity for the acts, then no sanction would be required. "It appears to us to be clear that some offences cannot by their very nature be regarded as having been committed by public servants while acting or purporting to act in the discharge of their official duty. For instance, acceptance of a bribe, an offence punishable under s.161 of IPC, is one of them and the offence of cheating or abetment thereof is another... where a public servant commits the offence of cheating or abets another so to cheat, the offence committed by him is not one while he is acting or purporting to act in the discharge of his official duty, as such offences have no necessary connection between them and the performance of the duties of a public servant, the official status furnishing only the occasion or opportunity for the commission of the offences...... ...the Act of cheating or abetment thereof has no reasonable connection with the discharge of official duty. The act must bear such relation to the duty that the public servant could lay a reasonable but not a pretended or fanciful claim, that he did it in the course of the performance of his duty." "To put it shortly, it is no part of the duty of a public servant, while discharging his official duties, to enter into a criminal conspiracy or to indulge in criminal misconduct. Want of sanction under Section 197 of the Code of Criminal Procedure is, therefore, no bar." "49. Great emphasis has been led on certain decisions of this Court to show that even in relation to offences punishable under Sections 467 and 468 sanction is necessary. The foundation of the position has reference to some offences in Rakesh Kumar Mishra's case. That decision has no relevance because ultimately this Court has held that the absence of search warrant was intricately with the making of search and the allegations about alleged offences had their matrix on the absence of search warrant and other circumstances had a determinative role in the issue. A decision is an authority for what it actually decides. Reference to a particular sentence in the context of the factual scenario cannot be read out of context. 50. The offence of cheating under Section 420 or for that matter offences relatable to Sections 467, 468, 471 and 120B can by no stretch of imagination by their very nature be regarded as having been committed by any public servant while acting or purporting to act in discharge of official duty. In such cases, official status only provides an opportunity for commission of the offence." "The words 'any offence alleged to have been committed by him while acting or purporting to act in the discharge of his official duty' employed in Section 197(1) of the Code are capable of a narrow as well as a wide interpretation. If these words are construed too narrowly, the section will be rendered altogether sterile, for, 'it is no part of an official duty to commit an offence, and never can be'. In the wider sense, these words will take under their umbrella every act constituting an offence, committed in the course of the same transaction in which the official duty is performed or purports to be performed. The right approach to the import of these words lies between two extremes. While on the one hand, it is not every offence committed by a public servant while engaged in the performance of his official duty, which is entitled to the protection of Section 197(1), an Act constituting an offence, directly and reasonably connected with his official duty will require sanction for prosecution and the said provision." 6. Use of the expression, 'official duty' implies that the act or omission must have been done by the public in the course of his service and that it should have been in discharge of his duty. The Section does not extend its protective cover to every act or emission done by a public servant in service but restricts its scope of operation to only those acts or omissions which are done by a public servant in discharge of official duty. 7. It has been widened further by extending protection to even those acts or omissions which are done in purported exercise of official duty. That is under the colour of office. Official duty therefore implies that the act or omission must have been done by the public servant in course of his service and such act or omission must have been performed as part of duty which further must have been official in nature. The Section has, thus, to be construed strictly, while determining its applicability to any act or mission in course of service. Its operation has to be limited to those duties which are discharged in course of duty. But once any act or omission has been found to have been committed by a public servant in discharge of his duty then it must be given liberal and wide construction so far its official nature is concerned. For instance a public servant is not entitled to indulge in criminal activities. To that extent the Section has to be construed narrowly and in a restricted manner. But once it is established that act or omission was done by the public servant while discharging his duty then the scope of its being official should be construed so as to advance the objective of the Section in favour of the public servant. Otherwise the entire purpose of affording protection to a public servant without sanction shall stand frustrated. For instance a police officer in discharge of duty may have to use force which may be an offence for the prosecution of which the sanction may be necessary. But if the same officer commits an act in course of service but not in discharge of his duty then the bar under Section 197 of the Code is not attracted. To what extent an act or omission performed by a public servant in discharge of his duty can be deemed to be official was explained by this Court in Matajog Dobey v. H.C. Bhari (AIR 1956 SC 44) thus"
"The offence alleged to have been committed (by the accused) must have something to do, or must be related in some manner with the discharge of official duty...there must be a reasonable connection between the act and the discharge of official duty the act must bear such relation to the duty that the accused could lay a reasonable (claim) but not a pretended or fanciful claim, that he did it in the course of the performance of his duty." 8. If on facts, therefore, it is prima facie found that the act or omission for which the accused was charged had reasonable connection with discharge of his duty then the Act must be held as official to which applicability of Section 197 of the Code cannot be disputed. "There is nothing in the words used in Section 6(1) to even remotely suggest that previous sanction was necessary before a Court could take cognizance of the offences mentioned therein in the case of a person who had ceased to be a public servant at the time the Court was asked to take congizance, although he had been such a person at the time the offence was committed." "As far as the offence of criminal conspiracy punishable under Section 120-B, read with Section 409, Indian Penal Code is concerned and also Section 5(2) of the Prevention of Corruption Act is concerned, they cannot be said to be of the nature mentioned in Section 197 of the Code of Criminal Procedure. To put it shortly, it is no part of the duty of a public servant, while discharging his official duties, to enter into a criminal conspiracy or to indulge in criminal misconduct. Want of sanction under Section 197 of the Code of Criminal Procedure is, therefore, no bar." 11. Above views are reiterated in State of Kerala v. Padmanabhan Nair (1999 (5) SCC 690). Both Amrik Singh (supra) and S.R. Munnipalli (supra) were noted in that case. Sections 467, 468 and 471, IPC relate to forgery of valuable security, Will etc; forgery for purpose of cheating and using as genuine a forged document respectively. It is no part of the duty of a public servant while discharging his official duties to commit forgery of the type covered by the aforesaid offences. Want of sanction under Section 197 of the Code is, therefore, no bar. 12. This position was highlighted in State of H.P. v. M.P. Gupta (2004 (2) SCC 349)." 16. Placing reliance upon the judgments mentioned above, I am of the considered opinion that it was not and cannot be a part of the official duty of petitioner to commit offences under section 407/409/420/120-B RPC with regard to misappropriation of Government cements meant for construction of quarters of ITBP, after hatching criminal conspiracy with others accused. The law cited by petitioner is not applicable in present set of circumstances of case. 17. In view of above, this petition is dismissed. The order of Principal Sessions Judge, Jammu, is upheld. Stay, if any, is vacated. Trial court to proceed with the matter under law. Copy of this order along with records be sent to trial court.